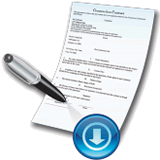 Need a construction form right now? Please click here. We have been offered a "Sunset Clause" as an option to extending our liability coverage for ten years for the three years that our liability coverage was with a particular provider. 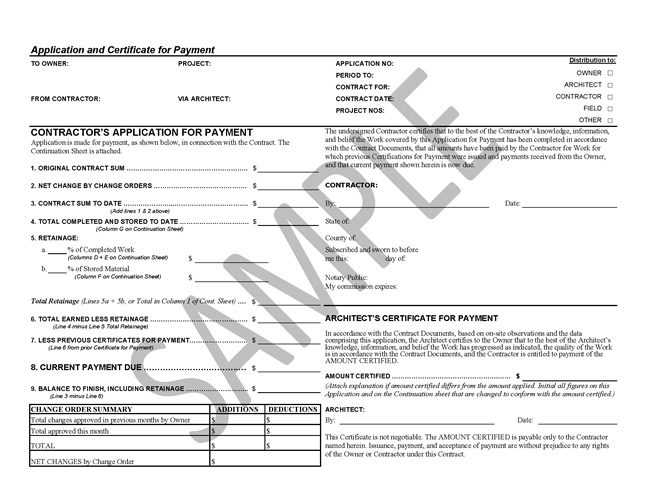 There is a very expensive fee to add the 10 years and we have to add it (pay a separate fee for each year). We know that a General Contractor is liable for 10 years on work performed. What is the time-frame for a sub-contractors (Plumbing Contractor) liability on work performed in California....we think it is one year. If that is the case....we don't feel we need to take out this extra clause (ten years) for each year....it is really expensive....as much as one year of liability insurance. I'll try to briefly yet fully address the issue of sunset clauses in the general liability insurance policy and why I think they are bad. First, what is a sunset clause? This type of clause is a provision in a general liability policy which states that the insurer will respond only to losses reported before some predetermined future date (sunset), usually a set period after the expiration of the policy. So let's say your GL policy was effective 4/1/07 and expires 4/1/08, and has a 2-year "sunset clause". Any claim made against the policy has to have "occurred" during the policy period and must be "made" no later than 4/1/2010. So if a "latent" defect on work performed some time within the year: 4/1/07 to 4/1/08 is not discovered until April 2, 2010 (2 years and 1 day after expiration) or later, there will be NO coverage under the policy. You might wonder why this claim wouldn't be covered by the 4/1/10 to 4/1/11 policy? Because a "defective construction" claim is deemed to have "occurred" when the work is done; thus the policy that should respond is the 4/1/07 to 4/1/08 one. When there is no sunset clause (like the standard CGL policy), the claim can be 'made' any time in the future and you could expect to have coverage. Guess when most construction defect claims are 'made'? Just before the statute of limitations runs out. In California the statute on latent defects is 10 years after the work is completed; the statute can vary state to state, please check with your insurance agent to find out what the statute is for your state. I can think of only one reason why anyone would ever buy a policy with this type of clause in it. That is when they absolutely positively can't find anyone else to insure them without one. Yes, you save money by taking a policy with a sunset clause; but insurance companies have run the numbers. 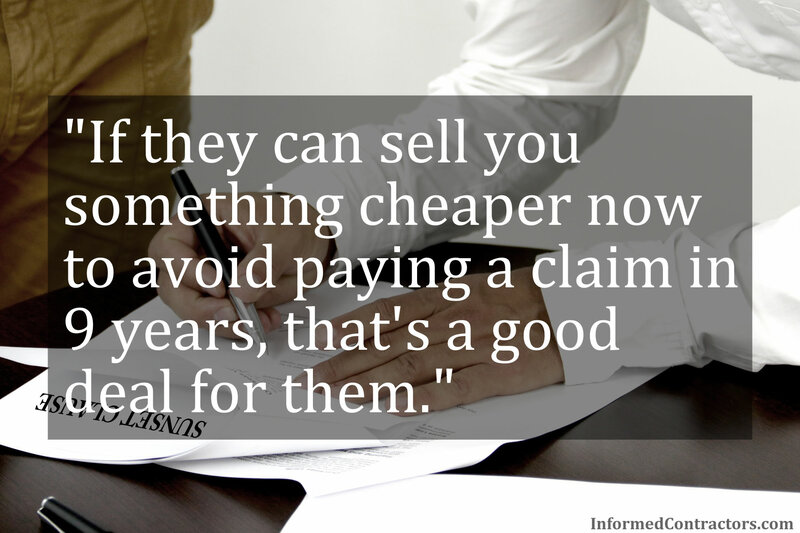 If they can sell you something cheaper now to avoid paying a claim in 9 years, that's a good deal for them. I believe the sunset clause is a bad value. If one is going to buy general liability insurance at all, they might as well buy it right. It doesn't cost that much more for the peace of mind. for the above information in response to Carolyn's question. The information in this article is provided for general information only; intended solely to educate the reader on general issues. Please do not rely on any part of this article when analyzing any specific situation affecting you or your business. For more information about artisan liability insurance and other insurance programs and surety bonds for California contractors, suppliers and service providers please contact Gary.